The weather in Okuhidaonsengo Hirayu. You can look the outside air temperature and the humidity by the graphs. 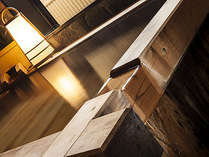 It will appear the outside air temperature of Hirayu and the room temperature of the first floor corridor of Tsuyukusa. Since outside sensors are placed in the instrument shelter, the weather does not match. NorikuraFrom May 15th – the end of October. 3-minute walk from Hirayu Bus Terminal. 25 minutes by bus until enchanting Kamikochi . Ban of the mountain stream fishing released. ☆Please take your favorite meals when you are staying a room without meals. And it’s available for midnight snacks. 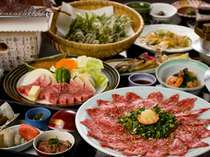 Variety of cuisines. There are pick-up services. ☆家族や友人に御土産はいかがですか。☆How about the souvenir for your family and friends? 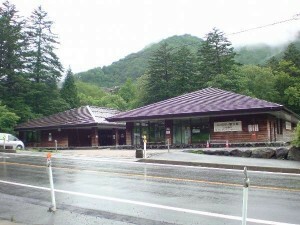 It is a popular inn. 5-minute walk from Tsuyukusa. The cuisine is also amazing. 3-minute walk from Tsuyukusa. 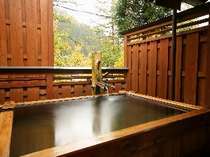 A room with cypress bath is popular.2-minute walk from Tsuyukusa. 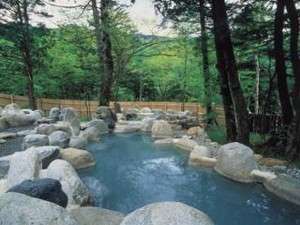 A large open-air bath.1-minute walk from Tsuyukusa. 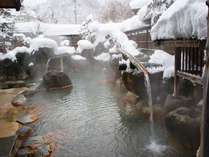 More information of Hirayu Onsen.Click here for Hirayu Onsen Ryokan Association HP. 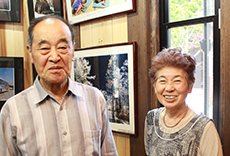 The owner of the “inn Suisenso” is my relatives. The facility and the cuisine of the inn is better than ours. 奥飛騨周辺の主な観光スポットThe main attractions around Okuhida. Overall length 3,200m. 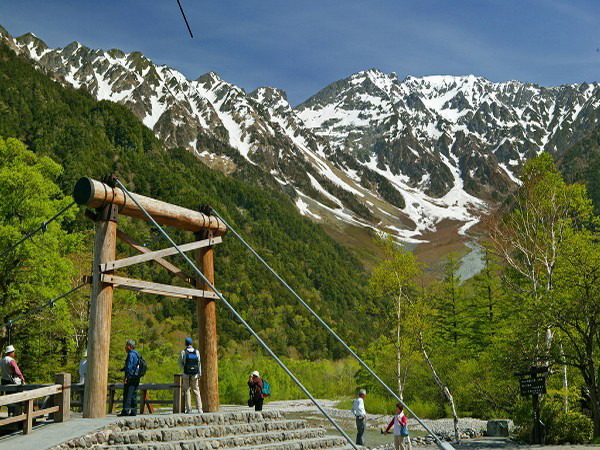 Let’s go to the mountaintop directly by Japan’s first double-decker gondola. You can enjoy the great North Alps views. 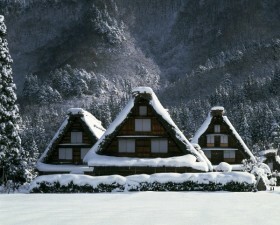 30-minute drive from Tsuyukusa. You can have 300 yen discount by using “Okuhida no Tatsujin” coupon the cost is 100 yen. The mountain climb to the Northern Alps. 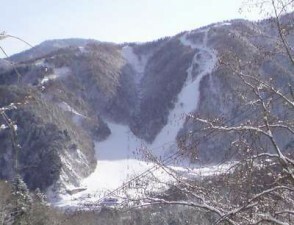 It is a mountainous scenic spot of mystery. The mountain road that climb until the highest place in Japan. 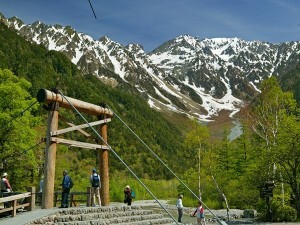 You will see alpine plants and majestic figure of Yari Hotaka from the car windows. 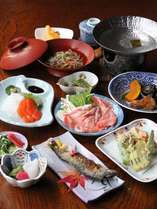 It has a lot of attractions such as the old streets, Hida-no-Sato and Matsurinomori. Takayama festival which has been held in spring and autumn is famous. 40 minutes by car from Tsuyukusa. 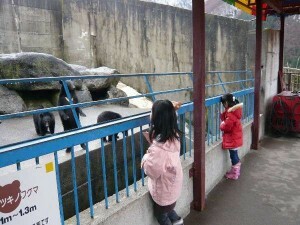 The bear’s show has been held twice a day. 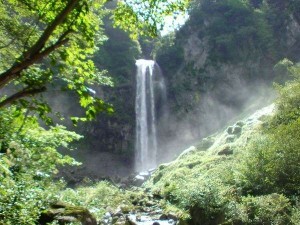 There are various experience classrooms and Hirayu Waterfall. You can study the nature of Northern Alps. 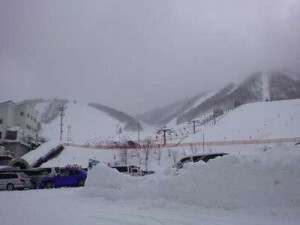 You can enjoy the powder snow. 3 minutes by car from Tsuyukusa. 70 minutes by car from Tsuyukusa. 30 minutes by car from Tsuyukusa. Now, it takes 60 minutes by road construction. “The gold that came back” has been in exhibition. It is theft in 2007, “the gold that came back”, which was returned after a criminal arrest is a must-see. 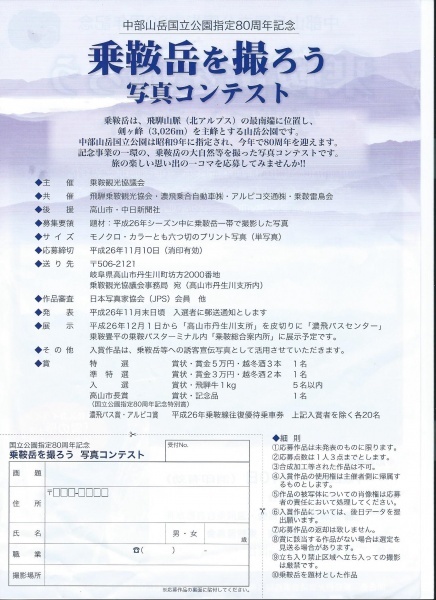 For Okuhidaonsengo, please refer to the page of the (corporation) Okuhidaonsengo tourism association.